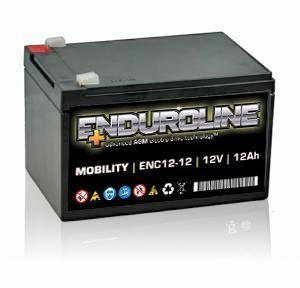 Our recommended replacement is the ENC15-12 Enduroline Mobility Battery 12V 15Ah. I bought the batteries for my mobility scooter and they fit perfectly. The delivery was on time and they were well packed. I will buy these again when i need to from this seller. I would recommend these to anyone looking for a good replacement battery. Only had these batteries for a few weeks so can’t comment on lifespan. They perform just as well as any equivalent I’ve used, retain charge well - as expected for a new set. Packaging was horrible - lots of chopped up bits and pieces of polystyrene taped together made quite a mess and required lots of hoovering!